1436 Poplar St., a contemporary~Francisville~condo building with a spectacular roof deck, is just one block from the Broad Street Line! 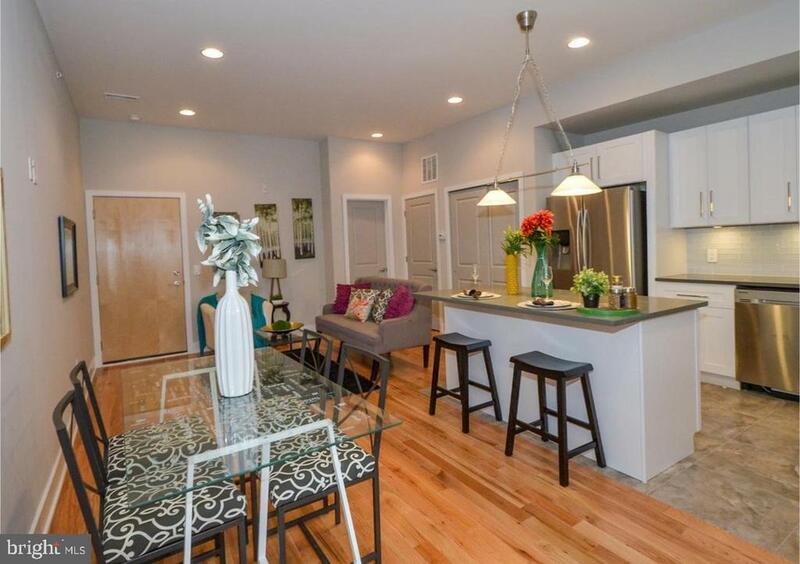 This modern construction offers a balcony, hardwood floors, stainless steel appliances, central air and washer/dryer ~ all of which are energy efficient resulting in lower utility bills. 1436 Poplar Street is located a few minute~s walk from such venues as The Met, Anytime Fitness, Lifesport Fitness, Kayuh Bicycles & Cafe, Mugshots Coffeehouse, Lorraine, South, Stephen~s Green, Zuzu~s Kitchen, Osteria and a hop skip and jump to public transport! Tenant pays for electricity and gas as well as a flat fee of $50/mth for water. Pet~s welcome with refundable pet fee.